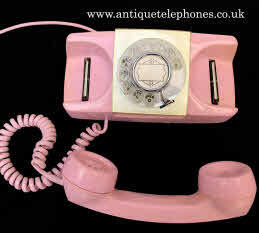 A lovely rare telephone to find. 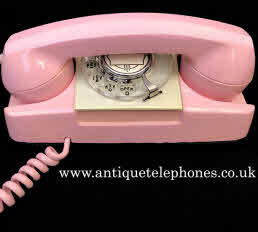 This is not painted but is moulded in this vibrant pink colour. I am not sure of the date but would think 1960s. It has been totally stripped down, cleaned and polished and then re built. 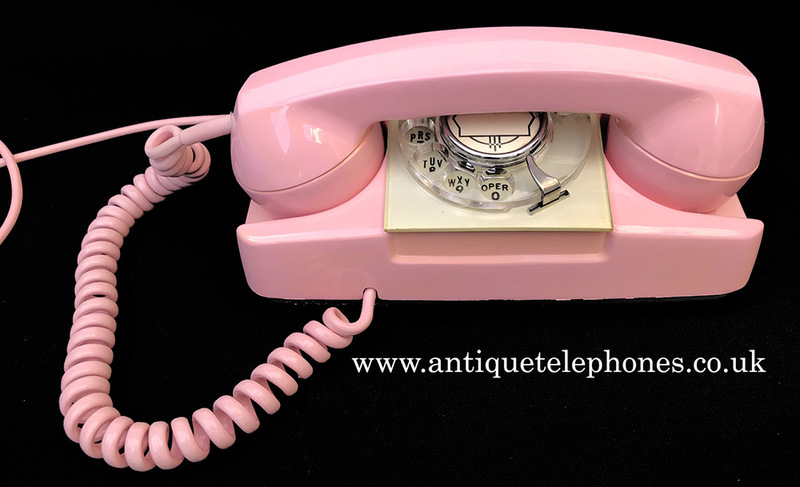 The plastic parts were sun faded to a darker colour but I have spent many hours polishing it back to this wonderful pink. You can still see some traces of the the fading but as you can see it is very good. I kept the pink line in cord and wired it to a UK red 700 series connection block and then to a UK telephone plug socket. Originally this would have been connected to a power supply to produce a dial back light which has been disabled and no power supply needed or supplied. Ready to plug in and go. 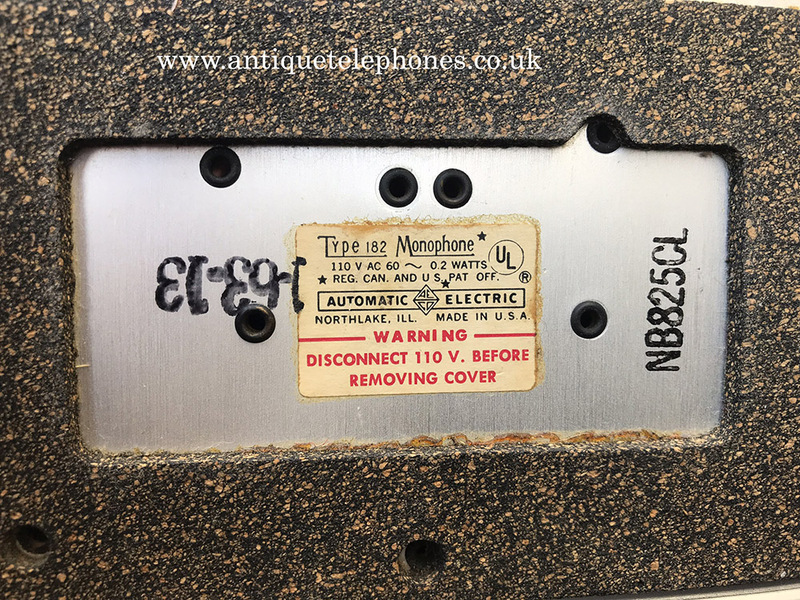 No dial label information can be made for this as it has its original fitted. 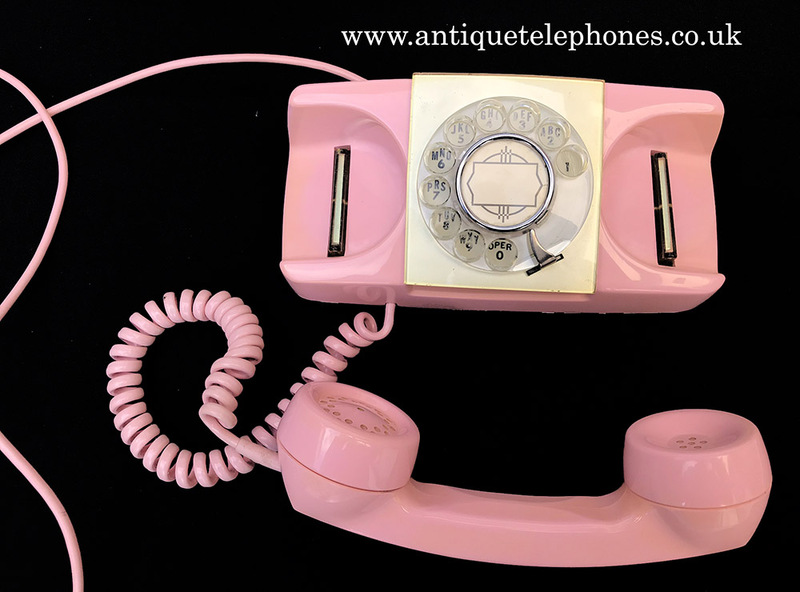 This model has no internal bell and so will either work in conjunction with an exiting telephone to hear the ring or buy a separate bell set. 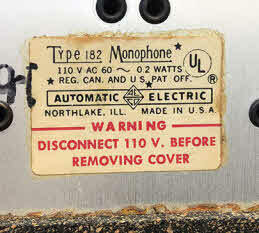 I used a Bell 50E or maybe a 50C as listed below.